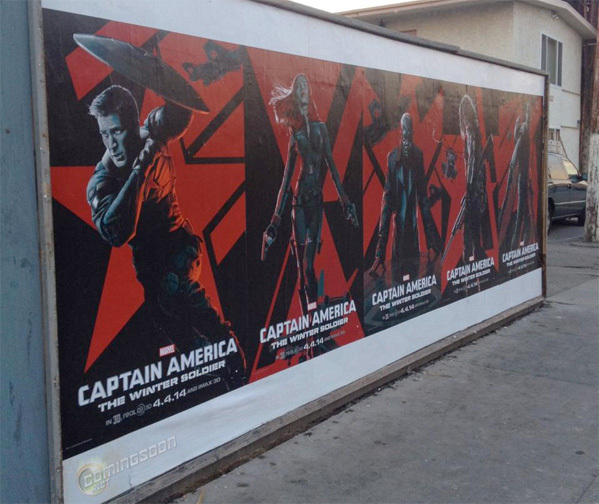 The release of Captain America: The Winter Soldier is just under a month away, so the hype machine is in full swing. And for those looking to refresh their memory about the patriotic Marvel superhero, but want the big screen experience all around, AMC Theatres has announced a special double feature that begins with Captain America: The First Avenger at 5:30pm on April 3rd, leading right into the early 8pm screening of the sequel shortly thereafter. You can buy tickets for the event at participating theaters right here. In the meantime, check out some cool posters plastered around the SXSW festival in Austin, TX. 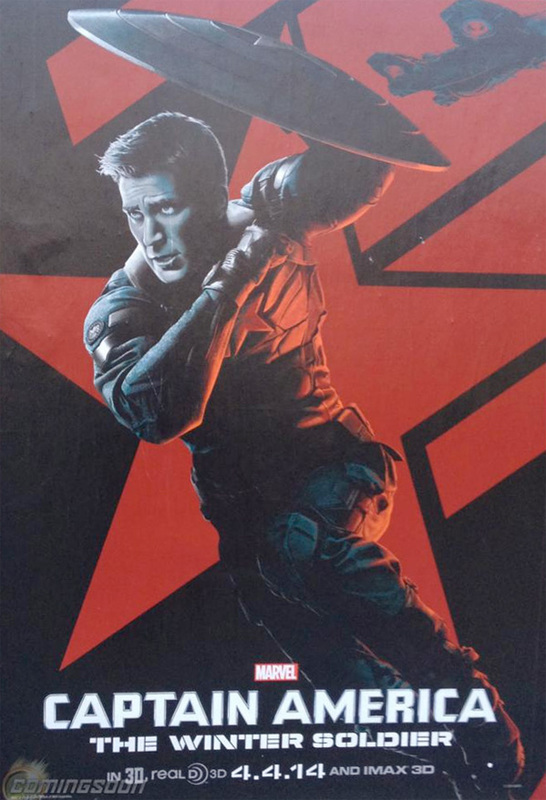 The Cap poster is a complete fail. It doesn't look anything like Chris Evans. Yeah. 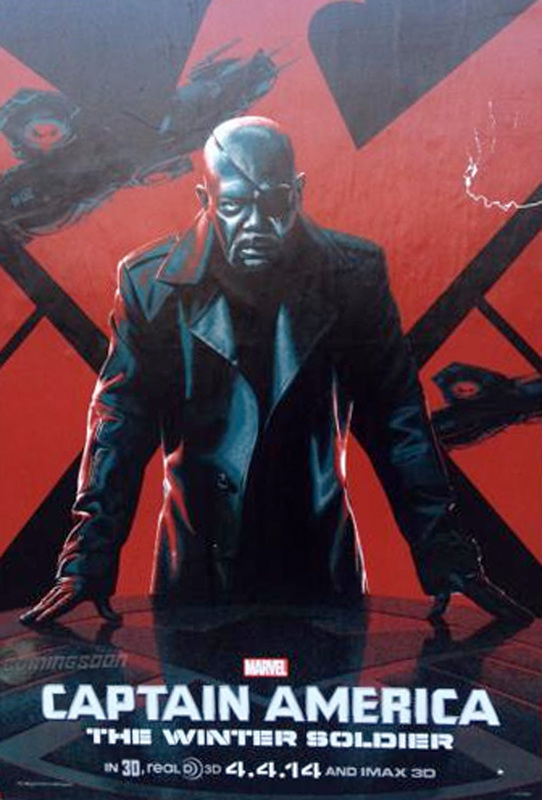 It looks like it was drawn by a guy who once saw a picture of Evans and then was like "Yeah, I got this." 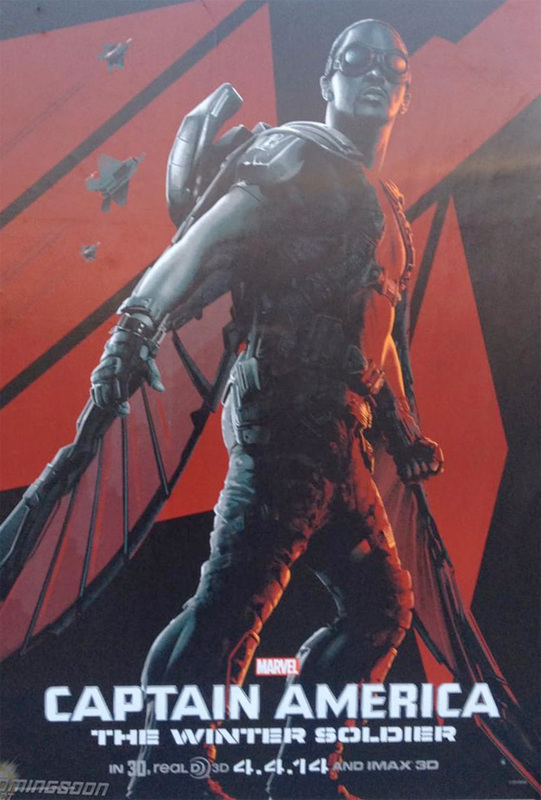 That being said, these posters are pretty great. 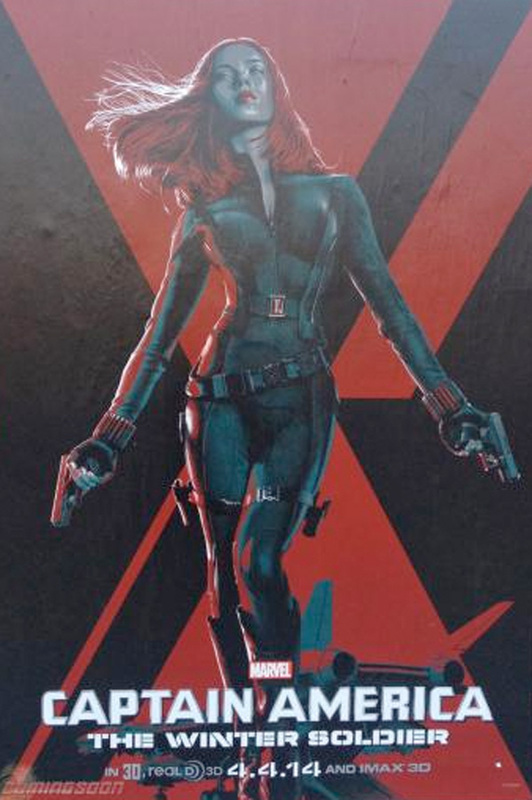 The Winter Soldier looks like an animal. 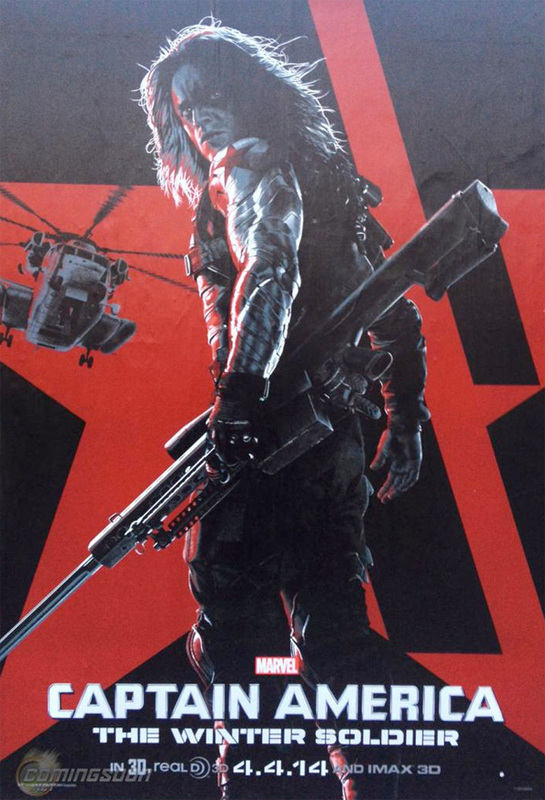 The Winter Soldier looks like the Ultimate Warrior.